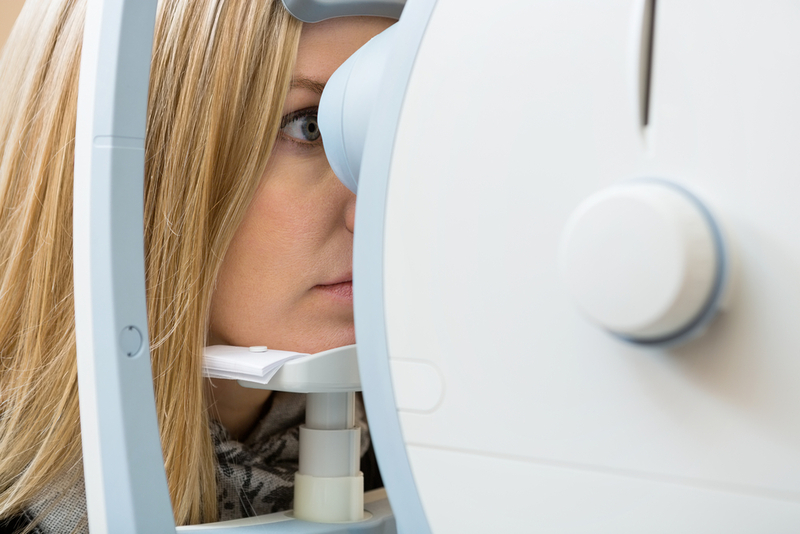 A typical eye exam relies on both objective information from specialized equipment and subjective feedback from the patient. Some patients, like those with Autism or Dementia, cannot always give appropriate feedback. Reasons patients are unable to respond during an eye exam can vary from a language barrier to a brain injury. Fortunately there are methods for obtaining vision measurements without verbal responses from the patient. In these cases, doctors rely on help from specialized equipment to take measurements so that an appropriate prescription can still be obtained. Retinoscope - This is a hand-held instrument that projects a beam of light into the eye. As the doctor (or technician) moves the beam of light back and forth across the eye, the movement (reflex) of the light communicates to the doctor how the eye is bending (refracting) the light. The doctor introduces various lenses to observe how the light changes as it passes through each lens and into the eye. Auto-refractor—An automated approach in which a computer shines a light into the eye and measures how the light moves through the eye and how it’s reflected back. Through the use of the retinoscope or the auto-refractor, an accurate reading can usually be obtained so that a prescription can be obtained for eye glasses or contacts. Sometimes patients aren’t able to communicate that they are having cognition problems. If you are with your loved one at the eye exam, you may feel uncomfortable drawing attention to memory or cognition problems out of respect for him/her. Because some conditions are not readily apparent to the doctor, making it known is important to ensure the appropriate testing is done. If you don’t want to say anything in front of your loved one, consider writing a note and handing it to the doctor or calling ahead to inform the staff prior to the exam. Having good vision can improve quality of life, so regular eye exams are important to monitor changes and keep the glasses prescription up to date for the clearest vision possible. 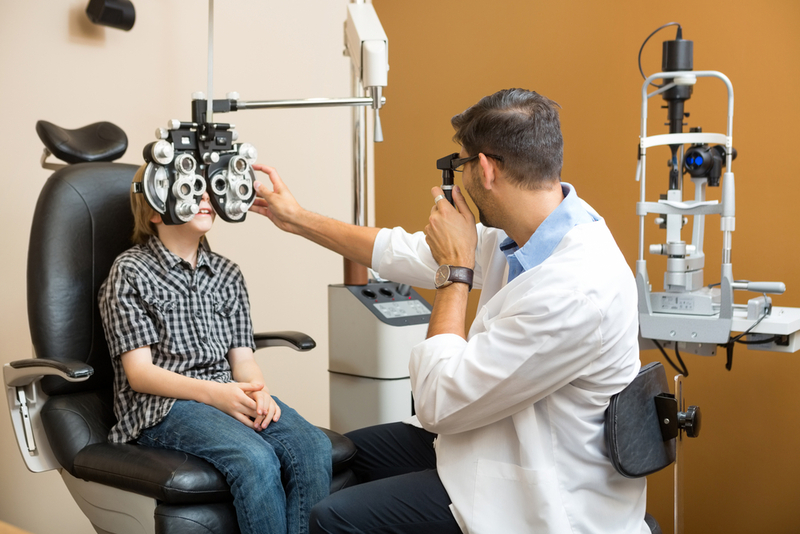 If you have a loved one who needs an eye exam but may have trouble giving accurate feedback during the exam, don’t let that deter you from making an appointment for him or her. We will work to accommodate every patient in every way we can to help them obtain their best vision possible.